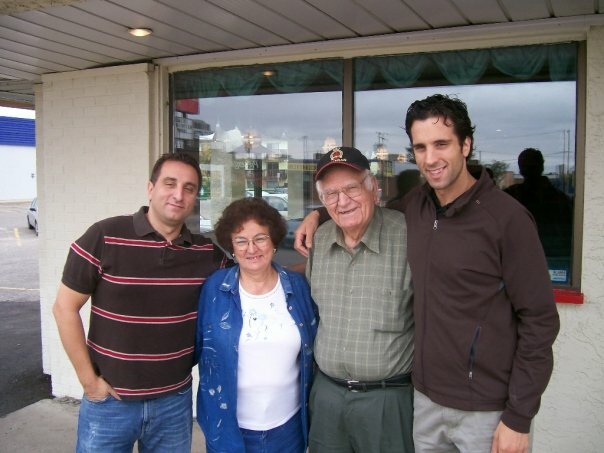 Posted on March 13, 2010 September 18, 2013 by Vicky LorasPosted in CdnEd, culture, education, education reform, learning, life, parents, special moments, teachingTagged Canadian Education, culture, education, George Couros, learning, life, special moments, teaching. George, thank you so much for this post. Thank you first of all for sharing the story of your family (in which I find a lot in common with my family!). It is wonderful how you tie the way your family treated the people who came to your restaurant with the way you would like teachers and students to be treated in your school. I will use a quote from your post that I really liked: “As a principal now, what do I want to help to create? Do I want a literary factory where students can spew out amazing information, but have no heart or soul? Or do I want a school where people are valued and cared about? Not only students, but staff and parents as well.” That is what education should be like first of all – to give humanitarian values to students and then teach them everything else. If all educators take your words into consideration, then education will be a great place for students, teachers and parents alike. Thank you and I wish all the best for you and your school! Thank you for this George. As someone who enjoyed many great meals at your families restaurant I totally agree that you absolutely felt like the most important person in the world each time you stepped through the door. To tie that enthusiasm for others into education is wonderful. Imagine a school where every student was greeted and treated the way customers were in your families restaurant … wait a minute … I bet that’s the way the students in Stony Plain feel. I’ll further wager that when they leave they feel as they can hardly wait to come back for their next visit. I know I always looked forward to my next visit to visit with your mom or find out what your dad would cook up ‘just especially for me’. Thanks Dave 🙂 That is definitely what we strive for every day at our school, and I know that although my parents were my inspiration, I also picked up a few great skills from the teachers that did the same thing for me when I was in school. Thanks George for your touching anecdote on family, especially that relate to your loving parents, on how they have brought up your family in Canada, on the pride you felt about them, and how they have treated the customers – with kindness, caring and respect. That’s the education and learning that could cut across borders, and we won’t need “higher education” in order to achieve all these. It’s how we treat and care about others that would attract people back to be connected, and be engaged. I am linked to your blog through your brother Alec, who is a wonderful professor. You are also welcomed to visit my blog. Great post! “Literacy factory”…well put. Thank you for sharing your blog with me, George. I totally agree that positive relationships with principals, teachers and fellow students are a key component to student success. It was great to read how your family has influenced your view of the role of a principal. Hmm… and I thought you were all about technology! We believe joy and engagement is at the heart of learning. Nice post. Great reminder about how to create a culture for learning!